Etiketler | "Swedish national team"
Even before Feldkamp officially signed with Galatasaray the Turkish football media began to criticise him because of his age and made repeated insinuations about his health. When he was the manager of Beşiktaş, the German left the team in the middle of the season because of heart problems. How could Galatasaray trust the old man’s health enough to hire him as their manager? That was the first criticisim the coach had to deal with. He had, unbelievably, also worked for just for 1 ½ seasons in the last 17 years, it was understandable the media also asked questions about whether he had lost his ability to coach a team. So, from the very first moment he took his place in the dugout Feldkamp’s reign was beset by criticism. In his first game as manager Galatasaray won 4-0 at their Ali Sami Yen stadium. With this outstanding result the team brimmed with confidence and proceeded to go unbeaten until they met rivals Fenerbahce. In the first period of the season Galatasaray lost just one game, and sat proudly on top of the Super Lig table. Everything looked fine when you looked at the statistics from the league, but in the UEFA Cup the team was going badly. Galatasaray is a team,which is accustomed to being the most successful Turkish team in Europe and the results gained in the early stages against weak teams did not satisfy the president, his administiration, or the fans. With the winter break the transfer window opened and Feldkamp felt there was a desperate need for a defensive midfielder to be bought after the injury of Swedish national team captain Tobias Linderoth, in addition to an experienced goalkeeper. Defender Emre Güngör and midfielder Ahmed Barusso were the only players that arrived and this was despite the coach insisting at least four more should join the squad. Without enough players arriving Feldkamp tried all of the remaining options available to him in many different positions. Despite this he couldn’t manage to find a formula to make the side stronger. For instance, as everybody knows Servet Çetin is a player who is strong and ambitious, but not technical. Due to the lack of an incoming defensive midfielder Servet was tried in this position, despite not being suited to it as he is a defender. 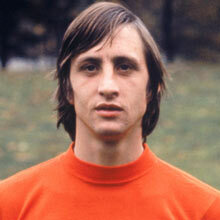 Feldkamp also changed the positions of other players many times. He tried stiker Hasan Şaş, midfielders Ahmed Barusso and Barış Özbek as a right backs, forward Shabani Nonda as a playmaker and even Emre Güngör as a defensive midfielder, as he searched for new options. One time he made Serkan Çalık, a young talented forward, play as a sweeper for the last few minutes of a Turkish Cup Game against Fenerbahçe. All of this experimentation would be acceptable only in friendly games and in pre-season, not in the middle of a campaign to win the title. After moving players from their natural and preferred positions it was understandable that many were not just upset, but even angry. When Adnan Polat had won the presidential elections in March (he was previously the vice-president and played a key role in bringing Feldkamp to Galatasaray) he arranged a one to one meeting with the players. What he heard was predictable. The players were unhappy they had been forced to play in unfamiliar positions. They felt it was unfair they should be criticised when they played poorly in a totally new position. The squad even went as far as saying Feldkamp was not managing the team well, and only without him could they be champions. After this meeting Adnan Polat and Feldkamp held talks. In the conversation between them, Adnan Polat gave Kalli some advice about how to manage the team, but “Kalli” (Feldkamp’s nickname in Turkey) is not a coach that takes kindly to being told how to do his job. For him it was a sign the players had lost all confidence in him and after this meeting Feldkamp announced he was resigning. Feldkamp’s assistant left, too. It is clear to me that Feldkamp was forced out, because Adnan Polat knew that by speaking directly to the players and then advising such a proud manager as Feldkamp how to do his job, he would react in only one way: to resign. The situation is even stranger when the man who has just become president of Galatasaray, a man who trusts Feldkamp and was key to his appointment in the first place, forces him to leave the club almost as soon as he sits in the president’s chair. Adnan Polat had also said he wanted Feldkamp to take the position of Football Advisor to the Board when he finally stopped coaching. All this shows that the new president doesn’t really have a plan for the future. This was further confirmed by the fact that so many managers, each with differing ideas on how to play the game, were contacted about taking over. For now the Turkish press believe that Dutchman Louis van Gaal may be next in line for the job. The players contributed directly to the removal of Karl Heinz Feldkamp, and that is not a healthy sign for any club. However, the one positive is that now the players have no excuses left and those who did not enjoy life under Feldkamp can take pleasure in their football without him. Perhaps the relief felt by some after Feldkamp’s departure could provide the motivation to win both the Turkish Cup and, importantly, Super Lig. But if they could do this, the position, the effect of a manager will surely have to be questioned. Because if any team can be successful like this, why do they need a manager?